Measure condemning anti-Semitism as well as other forms of hatred approved by majority of 407-23. 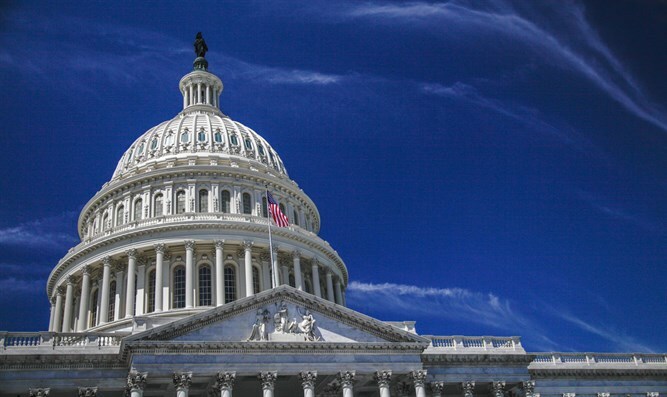 The US House of Representatives on Thursday approved by an overwhelming majority a measure broadly condemning anti-Semitism and other forms of hatred. The measure condemning "anti-Semitism, Islamophobia, racism, and other forms of bigotry" was passed by a vote of 407-23, with 23 Republicans opting to vote against the resolution, according to The Hill. Rep. Liz Cheney (R-WY), the third-ranking House GOP leader, joined nearly two dozen other Republicans in voting against the measure. Reps. Lee Zeldin (R-NY) and Louie Gohmert (R-TX), who also voted against it, delivered floor speeches lamenting that the language in the bill had been watered down to the point of taking away attention from Rep. Ilhan Omar's (D-MN) anti-Semitic remarks. Omar recently came under fire after she suggested on Twitter that Republicans were attacking her at the behest of the pro-Israel lobby AIPAC. She subsequently issued a half-hearted apology before ultimately deleting the controversial tweets. This week she caused another uproar when, at a public event, she appeared to refer to domestic support for Israel as “allegiance to a foreign country”, leading the Democratic leadership in the House of Representatives to work on a new resolution condemning anti-Semitism. The vote, however, had been delayed on Wednesday as Democrats fought over what should be included in the measure, with additional tweaks to the text being made as late as Thursday afternoon, noted The Hill. The House-passed measure did not specifically mention the Omar by name. It also includes language condemning Japanese internment camps in World War II, the century-old Dreyfus affair in France, former President John F. Kennedy being questioned over Catholicism and the white supremacist events in Charlottesville, Va., in 2017. Democrats made a last-minute change Thursday to add Latinos, Asian Americans and Pacific Islanders, and the LGBT community to the list of "traditionally persecuted peoples" targeted by white supremacists. The previous version unveiled earlier in the day only included "African Americans, Native Americans, and other people of color, Jews, Muslims, Hindus, Sikhs, immigrants, and others."